Our mission is to provide students with a vertically aligned English curriculum comprised of complex texts and rigorous learning opportunities that will result in lifelong readers, writers, and thinkers. Our students will be able to evaluate their thinking independently and engage with society as active participants and promoters of change. We honor each of our student’s unique abilities and vulnerabilities while providing a nurturing environment in which all students are encouraged to take risks and develop the perseverance necessary to tackle and question complex texts and issues. 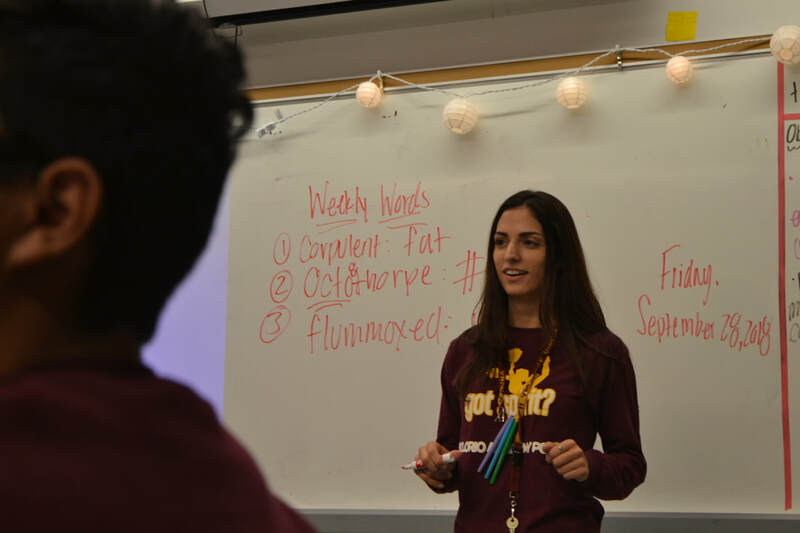 ​Catherine Heywood started her career at Solorio in 2013 as an AUSL Teaching Resident. She became an official Solorio English Teacher in 2014. She studied at Xavier University, earning her Bachelors in English, and continued on to earn her Masters in Curriculum and Instruction from National Louis University. Some of Ms. Heywood's professional interests include literacy for English Learners, post-apocalyptic fiction, and Elizabethan theater. She also enjoys cooking and hanging out with her dog, Molly. Juliana Boccumini started her career at Solorio as an AUSL Teaching Resident in 2015. She became an official Solorio English teacher in 2016. Ms. Boccumini earned her Bachelors in English and Creative Writing from Indiana University at Bloomington, and she went on to earn her Masters from DePaul University in Secondary Education. She is passionate about teaching writing of all kinds. Johnny Buse started his career at Solorio at the beginning of the 2017-2018 school year. Mr. Buse graduated from Grinnell College in IA with a BA in English Literature and from Northwestern University with a MSEd in Secondary Education. He is especially interested in creating spaces for students to write from their own experiences and to the larger community, incorporating an expanding vision of literacy into the classroom and trying to write more poetry. He believes that schools are where a community defines its current values and wrestles with its future values. You can find him walking around Chicagoland looking at bridges and on the radiowaves under call sign KD9JCU. Joseph Gondolfi started his career at Solorio in 2012 as an AUSL Teaching Resident. He became an official Solorio English Teacher in 2013. Mr. Gondolfi has a BA in Secondary Education and English from DePaul University, an M.Ed in Urban Education from National Louis University, and an MA in Literacy Education from Northeastern Illinois University. His professional interests include creating authentic reading and writing experiences for his students, studying psychoanalytic and feminist literary criticism, and strengthening public neighborhood schools. He has two dogs and is a musician in his spare time. Diana Iocco began her career at Solorio in 2011. She earned her Bachelors in Education from Eastern Illinois University, and she went on to obtain her Masters in Urban Education from National Louis University. Ms. Iocco's professional interests include feminist literature, literacy for English Learners, and accommodation supports. Her favorite books include A Fine Balance, Pride & Prejudice, Americanah, and The Prophet​. Originally from South Africa, Jonathan studied at the University of Cape Town, majoring in English Literature and African History. He then went on to earn his Masters in Education at the University of South Africa. After teaching in his home country for 5 years, he moved to the United States and began teaching at Solorio in January of 2016. Professionally, he loves to help students create authentic real world connections through their study of literature, and hopes to pursue a second Master’s in Literacy Education. Outside of school, his life is a recipe that consists of equal parts reading stories, writing his own book, and adventuring outdoors; added to this is a small dash of gaming on his PC and Xbox, and he also holds onto a dream of one day competing in the Ironman World Championships. Claire Jackson became a Solorio teacher in 2018. She earned her Bachelors degree in English Literature with a minor in Spanish from Saint Mary's College in Notre Dame, IN. Ms. Jackson eventually made her way to Chicago to pursue her Masters in Secondary English Teaching and Learning from DePaul University. Ms. Jackson likes her life bright and simple and her reading dark and complicated. She loves teaching post-apocalyptic fiction and American Gothic fiction. Pedagogically, she always is trying to find ways to create multiple pathways into content. That means she's always brainstorming links between fictional, visual, auditory, and tactile texts. In her spare time, Ms. Jackson reads roughly sixty books per year for fun. This year, she's trying for one hundred, and she's already past sixty! Kaley Jowers graduated from the University of Central Florida in Orlando, Florida with a Bachelor’s degree in English Literature with minors in Spanish and Nonprofit Management. She earned a Master of Arts in Teaching from Dominican University. She began teaching at Solorio in 2013. Ms. Jowers is also the JV Girls’ volleyball coach, a senior class committee advisor, and a OneGoal Program Director, and her interests including reading, cooking, traveling, and drinking coffee. Abby Jefferson started teaching at Solorio in 2018. She earned her Bachelors degree from Biola University in Sociology, and went on to earn her Masters degree in Special Education from Dominican University. 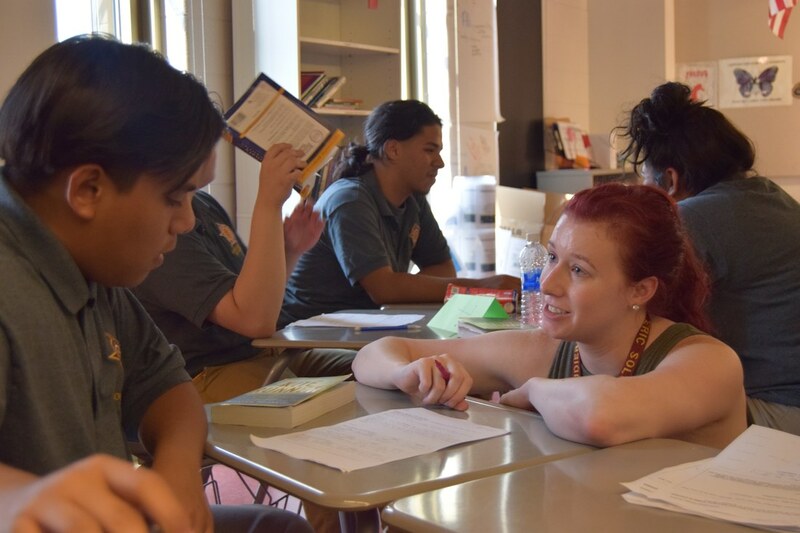 Ms. Jefferson is passionate about supporting students with diverse learning needs, and she loves reading young adult literature in her spare time. ​Patricia Knytych was hired at Solorio in 2012. She earned her Bachelors degree in Special Education (LBS1 Sequence) from Illinois State University and her Masters degree in Curriculum and Instruction with an ESL endorsement from Concordia University. 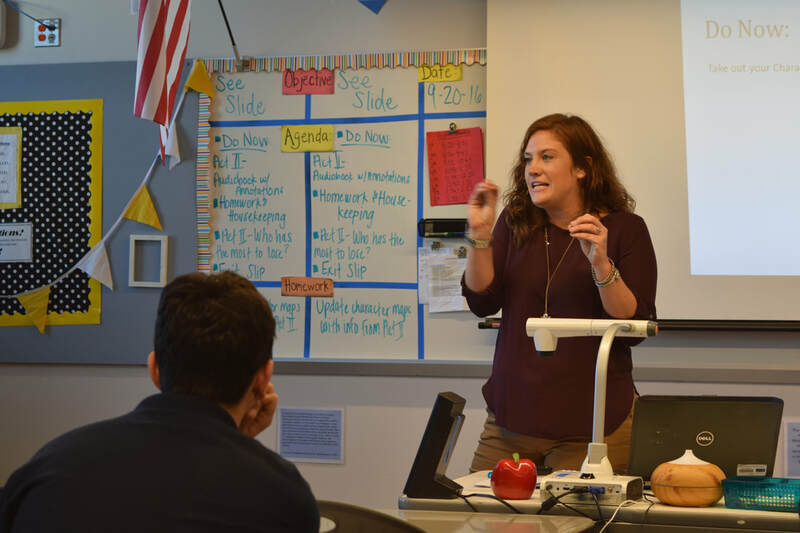 Some of Ms. Knytych's professional interests include strategies for teaching diverse learners, dystopian literature, and coordinating non-fiction text sets with class novels. Ms. Knytych loves literature, cooking, and her family, and the Harry Potter series remains her favorite. She also coaches the tennis team at Solorio. Molly McCartt started her career at Solorio in 2014 as an AUSL Teaching Resident. She became an official Solorio English Teacher in 2015. She earned her Bachelors in English from The College of Wooster, and went on to earn her Masters in Urban Teaching from National Louis University. Ms. McCartt's professional interests include argument writing and creative nonfiction. She also won her elementary school spelling bee every year, and in college wrote a middle-school self-help book. Karen Schopf became an English teacher at Solorio in 2010. She previously taught in the suburbs for five years and in Hong Kong for three years. Some semesters, Ms. Schopf also teaches writing at Moraine Valley Community College. 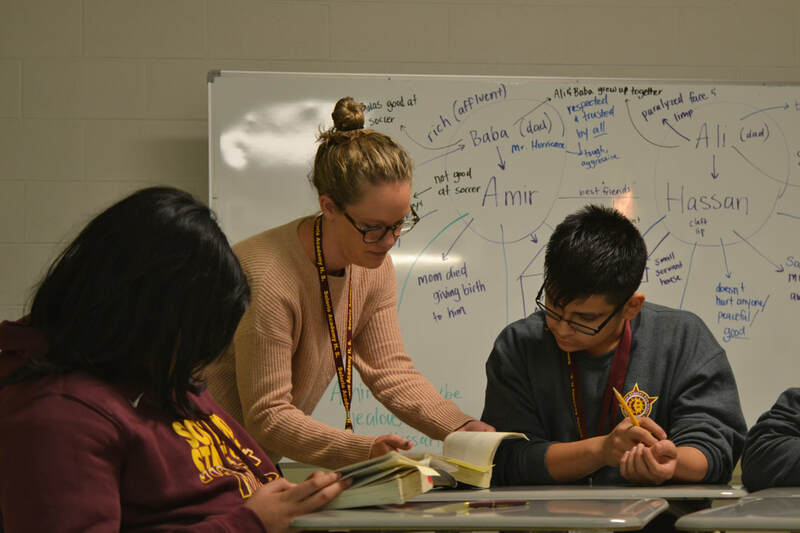 Ms. Schopf earned her Master’s in Literature from Northwestern and her Bachelor’s in English Education from the University of Illinois, Urbana-Champaign. 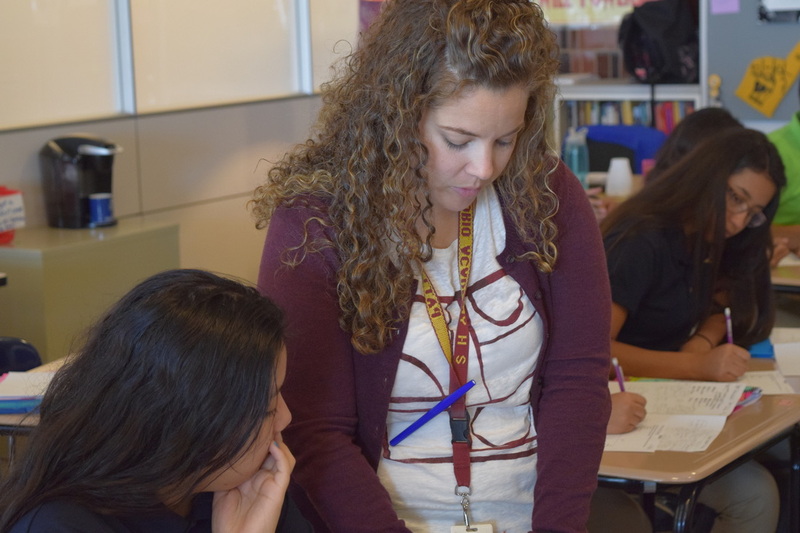 Pedagogically, Ms. Schopf has a passion for teaching textual analysis and writing with the hopes that her students apply those skills to analyzing the world around them and taking steps to improve what they see as injustices. She also likes to geocache, travel, and take pictures. Jennifer Westfallen started as an English teacher at Solorio in 2010. She earned her Bachelors in English from Ohio Wesleyan and her Masters in Education from DePaul University. Some of Mrs. Westfallen's professional interests include social justice, creative writing, satire, the media, and computer science. She is also a certified yoga instructor, she has created app called Happy Challenge using Ruby on Rails, and she has run three marathons. Samson Widerman started at Solorio in 2016. He studied English and Politics, Philosophy and Law at Binghamton University in New York and recently earned his Masters Degree from Johns Hopkins University School of Education. 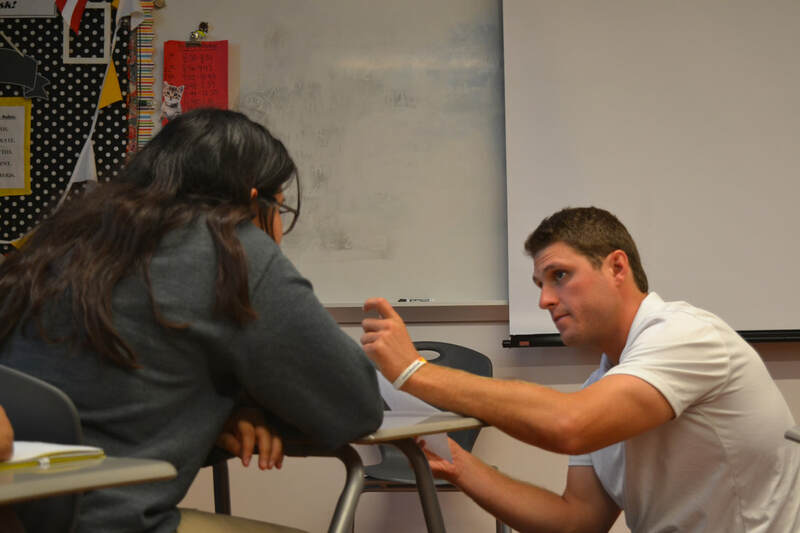 Mr. Widerman's professional interests include teaching writing, specifically helping students develop the capacity to tell their own stories. He previously worked at Urban Prep Academy in Bronzeville, and he likes to bike and play Nintendo games in his free time. Lauren Wilkie started teaching in 2012 and joined the faculty at Solorio in 2017. She studied English with a minor in Spanish at Michigan State University. She earned her Masters Degree from University of Illinois at Champaign Urbana in Educational Leadership and Administration, and she is currently working on her second Masters in Teaching and Curriculum in Literacy at Michigan State University. 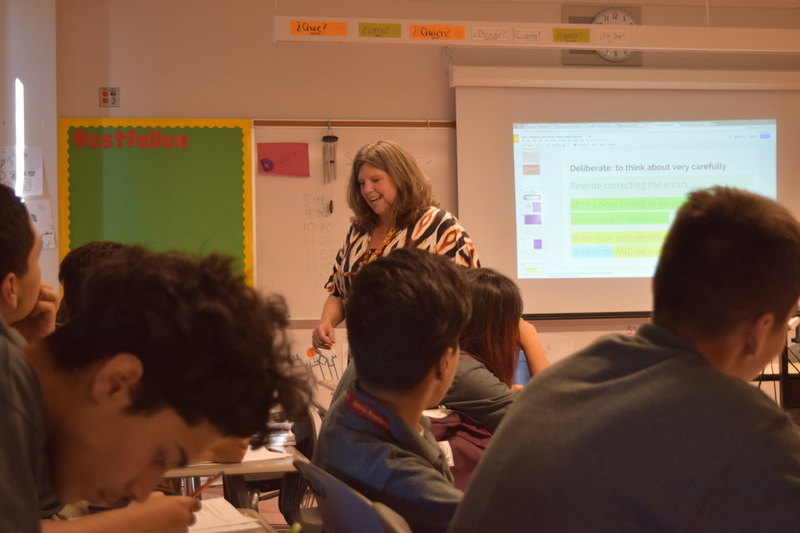 Ms. Wilkie's professional interests include argument writing and rhetoric, grammar, and differentiating instruction for diverse learners. A former cheerleader from Michigan, Ms. Wilkie enjoys working out, attending comedy shows, and cheering on the MSU Spartan football and basketball teams. 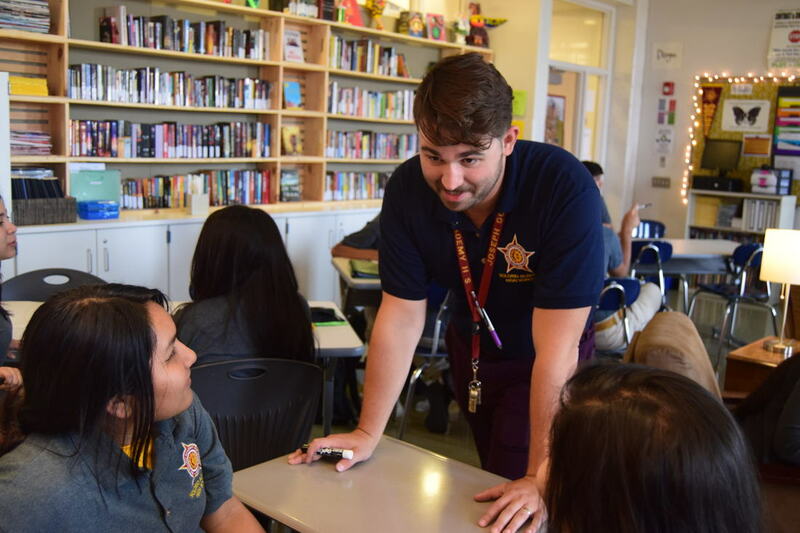 Phil Wisniewski began teaching in 2013 at Saint Ignatius College Prep and joined the Solorio English Department in 2018. Mr. Wisniewski earned his BA in English at Lawrence University and an MA in English from DePaul University. In addition to teaching English, Mr. Wisniewski coaches football and baseball. Outside the classroom, Mr. Wisniewski enjoys reading, playing baseball, and following the Chicago Cubs.